I like using GesturePro because it is very user friendly, easy to use, and has all of the features necessary to facilitate events. I have worked several major fundraiser auctions using GesturePro the last several years and I am very confident in recommending this application to anyone looking for a reliable and streamlined process. Each auction item is viewable in an icon format. It is very easy to search for items based on item number. The check-in and check-out process for attendees is very simple as well. The process is really easy. Attendees check in, put their credit card on file, and are texted a link which they received on their cell phone. They then click on the link which takes them to the auction items. If they are searching for a particular item, they can search for it using their cell phone, see the icon of the image or search for it by item number and bid on directly from their cell phone. Likewise, if the see an auction item on the auction floor, they can search for it on the cell phone and bid on it. They have a choice between automated bidding and manual bidding. They also can watch bids to see who was winning. Once items close out, attendees are notified if they won on their cell phone. They also have the ability to check-out using their cell phone and pay for items won. The cell phone and management app is in sync real-time and is reflective of all users. The only exception is for the main administrator who has exclusive access for viewing transactions and the ability to modify the auction. Various categories can be setup for categorizing auction items and for each auction such as live auctions, silent auctions, head and tails games etc. I especially like the visual identification system used where each auction item is assigned a button with a photo of the item on it. Even major auction items such as trips had a photo along with an item number. The menu items include everything needed for all parts of the auction event. GesturePro is very organized, thorough, and easy to use. Attendees credit card information is added by swiping their card using the credit card adapter connected to the ipad, This populates their information quickly making the check-in process that much quicker. Occasionally there was a problem with the card readers reading credit cards. On rare occasion, there were attendees who wanted to enter their credit card manually which they could do but it still required checking them in and texting them a link. There also was some minor confusion if there were multiple people with the same last name, guests checking in as part of a group, or people using the same card. However, it was not too complicated to find a way around this and in most cases it just required setting up a new attendee profile. GesturePro's major benefit was key in being tech savvy. Due to these being high profile auctions for major sports teams or non-profits, the attendees and donors expect a sophisticated process which is streamlined. The easier the process, the more likely they are to bid and spend money. These auctions were highly successful and brought in thousands of dollars for charitable organizations. Having this platform is completely changing how we operate our annual fundraiser. My favorite features are the event ticketing and the customer service. We will have on-site Gesture staff at our event to manage the silent auction and the check out process (including credit card transactions). Also, having the silent auction items on a phone will allow for our guests to easily see and bid on items. Not to mention, those at home can bid too! I don't necessarily dislike this, but a place for Gesture to grow is the "donation" tab. We'd like to leave our Gesture page active beyond our event to collect donations from the community, and it would be nice to customize this page (pictures, links, videos, information, etc.). Schedule a demo phone call and be open to moving to the electronic platform. We used to do our silent auction and ticketing by paper and spreadsheets. This resulted in a lot of work and stress, but we were just used to doing it that way. Now that we have Gesture, the silent auction and ticketing processes will be MUCH easier. Gesture is the epitome of "work smarter, not harder." What Fundraising solution do you use? "Easy, user-friendly, but with a learning curve"
The reporting features are amazing once you figure out how to work them. Tracking event donations, managing silent and live auction bids, sending thank you letters. The lack of care by employees the day of the event. 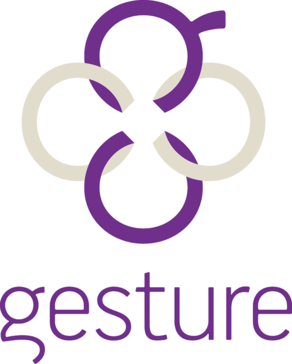 We use Gesture as our Mobile Bidding Platform. This is a great way to turn the tech over to an expert, and not have to sweat the details ourselves. "Great Source for hosting auctions"
Ease of setup, using web features, and the function and reporting systems used. Better attendee reporting. Only reported one party if with a couple. We didn't always know if both who RSVP'd showed up. * We monitor all Gesture reviews to prevent fraudulent reviews and keep review quality high. We do not post reviews by company employees or direct competitors. Validated reviews require the user to submit a screenshot of the product containing their user ID, in order to verify a user is an actual user of the product. Hi there! Are you looking to implement a solution like Gesture?